How the practice of diplomatic relations by the U.S. and the rest of the world is evolving. In recent years, many American officials have regarded withholding diplomatic relations as a way to punish countries for actions ranging from human rights abuses, to failure to abide by international law, to specific treaty violations and acts of war. But withholding diplomatic relations usually doesn't work, and can seriously handicap America's ability to achieve major foreign policy and national security goals. What's more, re-establishing diplomatic relations with a country after they have been severed is no simple matter for the Department of State. U.S. administrations have a great track record of painting themselves into a corner by curtailing relations with considerable brio, with the result that the path is blocked when it is in the national interest to resume normal relations. The vaudeville and at times burlesque spectacle that has dominated U.S. politics for over two years now reached a pivotal climax last week, when special counsel Robert Mueller delivered his report on alleged collusion between Donald Trump’s 2016 presidential campaign and Russia to the Justice Department. The culmination of an investigation that dates back to the early months of Trump’s presidency, Mueller’s report—according to the summary of it released by Trump’s hand-picked attorney general, William Barr—failed to establish evidence of coordination on Russia’s efforts to influence the election. * Mueller also refrained from reaching a conclusion on whether or not evidence that Trump sought to obstruct his investigation supported an indictment. Predictably, Trump’s supporters claimed the Mueller report totally vindicated the president and confirmed his characterizations of the collusion charges as a hoax and the special counsel’s investigation as a witch hunt. 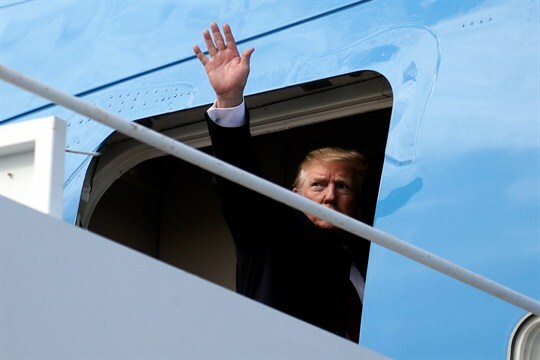 The narrative of a great victory for Trump and a turning point in his presidency has gathered momentum and seems to be establishing itself as the conventional wisdom among a chastened national media. Jack Thompson contends that the US’ longstanding role of international leadership is under threat. Washington is struggling to manage external challenges —including great power competition and globalization— and domestic constraints, such as the underfunding and mismanagement of the military and diplomatic corps. Unfortunately, prospects for reform are uncertain given the dysfunctionality of the US political system. So what does all this mean for the future of US foreign policy? Further, what implications could this have for European policymakers? Here’s Thompson’s answer. The US’ longstanding role of international leadership is under threat. It is struggling to manage external challenges, including great power competition and globalization, and domestic constraints, such as underfunding and mismanagement of the military and diplomatic corps. Unfortunately, prospects for reform are uncertain given the dysfunctionality of the US political system. This should worry European policymakers and will hopefully hasten their efforts to develop a more robust and independent Common Security and Defense Policy. Tuesday marks the centenary of one of the most extraordinary foreign policy debates in American history, which has renewed resonance today. On March 19, 1919, 3,000 lucky spectators crammed into Boston Symphony Hall to hear Sen. Henry Cabot Lodge, the chair of the Senate Foreign Relations Committee, square off against A. Lawrence Lowell, the president of Harvard University. Both men were Republicans and Boston Brahmins. But they disagreed on a big political question. Should the United States, having helped win the Great War, join a League of Nations to defend the peace? The Lodge-Lowell debate was the opening salvo in a titanic, yearlong battle over President Woodrow Wilson’s internationalist vision. 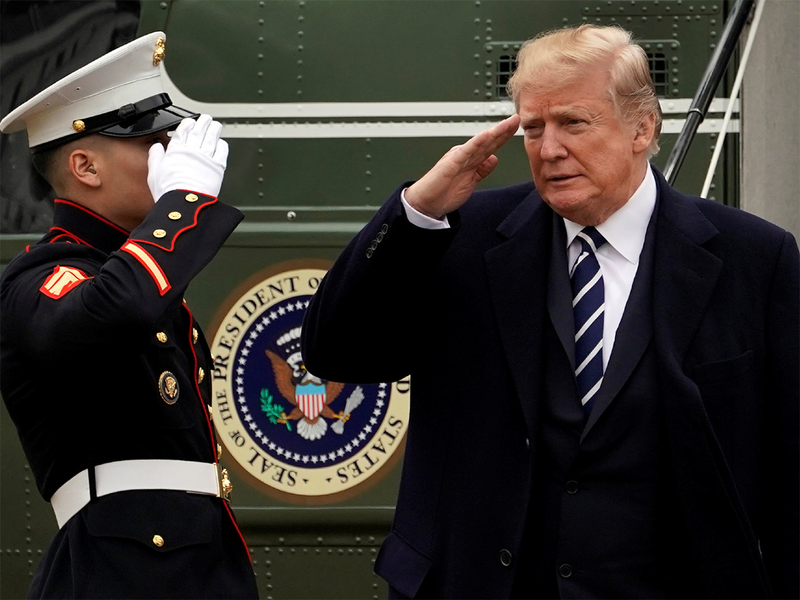 President Trump’s decision to withdraw the bulk of U.S. troops from Syria and Afghanistan has found grudging support among sectors of the foreign policy establishment and the Democratic Party. Clearly, out of a sense of collective fatigue, we are ending an era of land interventions in the Middle East that began with the 1991 liberation of Kuwait by President George H.W. Bush. At a cost of 7,000 lives andseveral trillion dollars for remarkably little demonstrable result, those interventions have not been a happy experience. The admonition about never fighting a land war in Asia could also be applied to the Middle East. After 28 years of land wars in the Middle East, counterinsurgency doctrine is now for the bookshelves: lessons learned the hard way, and always available for use upon the next mistake or quagmire, but hopefully allowed to gather dust. No military service has suffered so much and learned so many lessons as the U.S. Army in Iraq andAfghanistan. But the object of strategy is to avoid its use in such a manner again. As Russia seeks to expand its influence in Eastern Europe and the Middle East, the threat of a U.S.-Russia war has never been higher since the Cold War. In its efforts to re-establish itself as a great power, Russia has adopted a three-dimensional strategy designed to strengthen the country politically, enrich it economically and allow it to punch above its weight in a rapidly changing global security environment. This strategy has already raised tensions with Washington, raising fears of a U.S.–Russia war. The first dimension of Russia’s strategy is intimidation. Focused on nearby nations, particularly those that were once part of the Soviet Union or the old Russian empire, the use of intimidation is meant to ensure that neighboring governments are friendly and subservient—or at least fearful of Moscow. It reflects Russia’s need for security buffers around its periphery, a response to geographical realities that allowed it to be invaded many times in the past. In its early days, the international trade regime that the United States and its allies created after World War II counted relatively few less-developed countries as members. For the first few decades, developing country members of the General Agreement on Tariffs and Trade, the precursor to the World Trade Organization, remained mostly small in economic size, unimportant in trade and participated little in multilateral trade negotiations. In the 1960s and 1970s, developed countries unilaterally extended preferential market access to poorer countries to spur economic growth and development. As the “newly industrializing countries” of Asia, followed by Brazil, India, Mexico, South Africa and others, succeeded in growing faster and becoming bigger exporters, conflicts grew over the appropriate scope of “preferential and different treatment” for developing countries. A recent article in The National Interest posed the question “Are [US] Freedom of Navigation Operations in East Asia enough? The article’s implied answer is “no”. https://nationalinterest.org/feature/are-freedom-navigation-operations-east-asia-enough-45257 But the answer to this question depends on the objective. If—as the article suggests—freedom of navigation operations |(FONOPs) are to demonstrate non-acquiescence to what the U.S. views as a violation of international law, they may be unnecessary. The article, by James Holmes of the Naval War College, defines “freedom of the sea as the nearly limitless liberty to use the sea for mercantile and military pursuits”. This sweeping statement lumps freedom of navigation for commercial purposes with that for military operations with military objectives. They are both fruit – but they are apples and oranges. Indeed, the legal situation is complicated. The Trump administration’s decision to withdraw India’s Generalized System of Preferences (GSP) benefits not only risks adversely affecting the broader strategic relationship with India, but also giving a boost to Chinese exports. 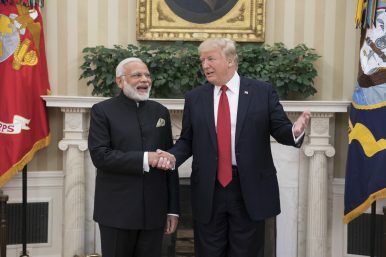 On March 4, 2019, President Donald Trump wrote a letter to Congress to provide notice of his intent to terminate the designation of India as a beneficiary country under the Generalized System of Preferences, a program designed to “promote economic growth and development in the developing world.” Although the Indian government noted that the “GSP concessions extended by the U.S. amounted to duty reduction of only $190 million” per year, this decision could spill over and adversely affect other aspects of the U.S.-India relationship. 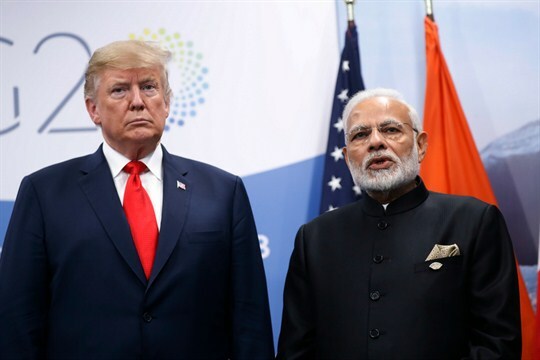 Moreover, by revoking India’s GSP benefits, the Trump administration may also worsen America’s trade deficit with other countries, notably China. America’s ultimate objective should be a stable international order. This is not a matter of altruism, but of self-interest. In any system, since those at the top secure a disproportionate share of the system’s valuables, their fundamental interest is in maintaining system stability . The challenge is to develop a strategy for achieving that objective in today’s world. This in turn requires questioning some of the assumptions people tend to make about the nature of the international system. There is a substantial body of theoretical literature, primarily from scholars who describe themselves as realists, that attempts to describe the operation of the international system. Realists come in a variety of flavors , but share the fundamental proposition that the international system is anarchic. That anarchy may be as expressed by Thucydides’ Athenians—the strong do what they can and the weak bear what they must—or in Hobbes’ state of nature—the war of all against all. Unlike Hobbes’ men, however, who trade freedom for security by establishing powerful ruling institutions, states trade security for freedom by refusing to permit the establishment of governing institutions. They accept no bounds on their activity other than those forced on them by stronger states. There is no escape from the state of nature in the world of the realists. 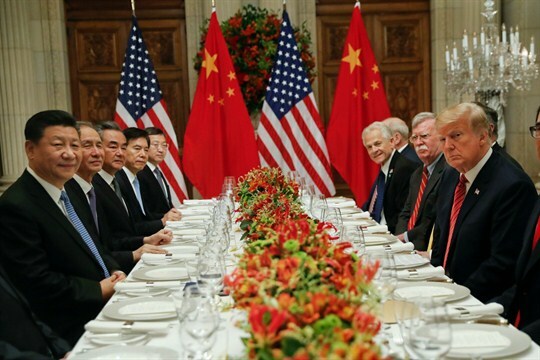 A U.S.-China Trade Deal Is Coming, but How Big Will It Be? Washington and Beijing are a little over two weeks away from their self-imposed March 1st deadline to reach a sweeping trade agreement that addresses China’s alleged unfair trade practices. If they fail, and the current truce in their trade war ends with no deal, the costs will be substantial for both sides. The United States imports more goods from China than any country in the world—roughly $500 billion in 2017—and a breakdown in the talks could lead to even higher tariffs on at least half of that. Right now, under the tariffs steadily imposed by President Donald Trump, the U.S. Customs Service is collecting additional duties of 10 percent on $200 billion in imports from China and 25 percent on another $50 billion. If no deal is reached by March, the 10 percent tariffs will also rise to 25 percent. China does not import enough goods from the U.S.—$130 billion total in 2017—to match Trump dollar for dollar. 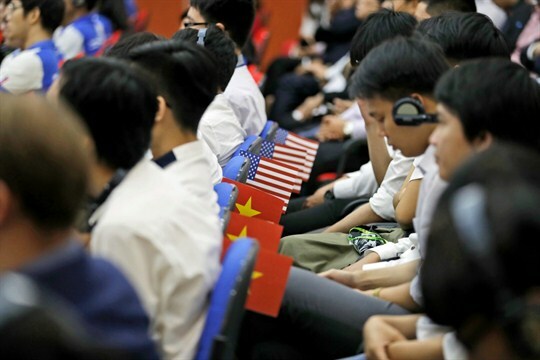 But Beijing retaliated with an equivalent 25 percent tariff on $50 billion in American exports in the first round of this fight, and tariffs of 5 percent to 10 percent on another $60 billion in the second round. The Chinese authorities also have many other ways to make life miserable for companies operating in China or trying to export there. Since the trade war began, some American firms have reported shipments being held up in Chinese ports and having to undergo far more extensive inspections than before. The U.S.-Saudi Arabia alliance is built on decades of security cooperation and strong business ties dominated by U.S. interests in Saudi oil. The relationship has survived severe challenges, including the 1973 oil embargo and 9/11 attacks, in which fifteen of the nineteen passenger jet hijackers were Saudi citizens. Successive U.S. administrations have held that Saudi Arabia is a critical strategic partner in the region. Relations between the two countries have grown especially warm under U.S. President Donald J. Trump and Saudi de facto leader Mohammed bin Salman, who was elevated to crown prince in mid-2017. Both have ramped up efforts to counter Iran, Saudi Arabia’s main regional rival. However, recent actions under the crown prince’s leadership, particularly the killing of journalist Jamal Khashoggi, are posing new strains on the alliance, as many members of the U.S. Congress have called for punishing Riyadh and reassessing the relationship. As others have discussed on Lawfare, Congress recently has begun to feel its oats when it comes to U.S. foreign policy. In the wake of general dissatisfaction with President Trump’s decision to pull troops out of Syria, the Senate rebuked him by declaring that the Islamic State’s presence and activities in both Syria and Afghanistan continue to pose a national security threat. Though the measure warned against U.S. troop withdrawals, it did not mandate that the president cease withdrawing U.S. forces. On the House side, though, Democratic Rep. Tom Malinowski and Republican Rep. Van Taylor introduced a bill that would, if enacted, impose such obligations. The “Responsible Withdrawal From Syria Act” would prohibit the use of fiscal 2019 funds to draw down U.S. forces from Syria below 1,500 troops, unless the secretary of defense, secretary of state, and director of national intelligence submit a report to Congress addressing a range of policy and threat-related issues. Malinowski also introduced a bill that would prevent the president from reducing the number of U.S. troops in South Korea below 22,000.